Almost weekend... what are you up to? After a slow Saturday morning start up I personally love to go downtown and try out or discover new places for my city guide. Time is my biggest problem and I am happy to regularly receive press releases in my mailbox to stay updated and keep in touch with the brands I love. I guess I may call myself lucky as many events take place in Amsterdam. But I certainly do love those that give me a good excuse to drop everything and travel abroad. Last week I visited a special event organised by one of the brands in the Concept gallery in collaboration with Jane Motorcycles, a store and coffee shop all in one that provides a platform for all motorcycle chic from New York. A good moment to show you some more of them and some work of brands that I love and fit the concept but never got the time to write about. I only sat once at the back of a motorcycle, but I love the passion most owners show for their motorcycles and there is a certain Rock 'n Roll vibe around motorcycles that I love... and of course I am a huge fan of beautiful biker jackets in general! 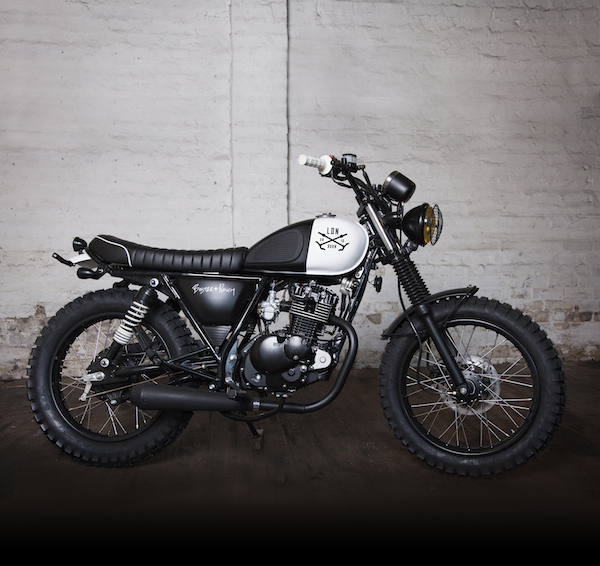 The idea for Jane Motorcycles arose when founders Adam and Alex during one of the many motorcycle rides in the city looked in vain for a place where they felt at home. So they have created such a home. 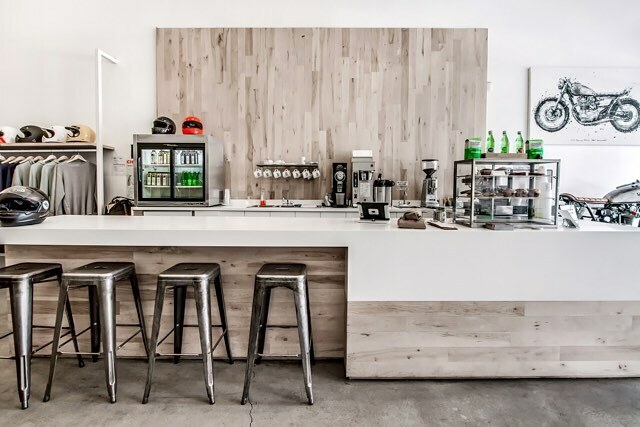 It combines everything I love from good coffee, fashion, metal and leather in combination with striking white walls, something I think makes everything stand out and extra special and of course they make beautiful motorcycles shown in the store and made in their garage a few kilometers away, find Jane Motorcycles at 396 Wythe Ave. Brooklyn, NY. I recently came across a small shop in Amsterdam where I noticed a kind of motorcycle concept store idea, I was in a hurry and didn't go in but love to add it to my shopping guide where I collected some great stores with brands sold at Jane too like the dark and moody Redwing shoes store, find some pictures I made here or download my APP with all the best places to visit for interior lovers (and coffee addicts) at the stores. 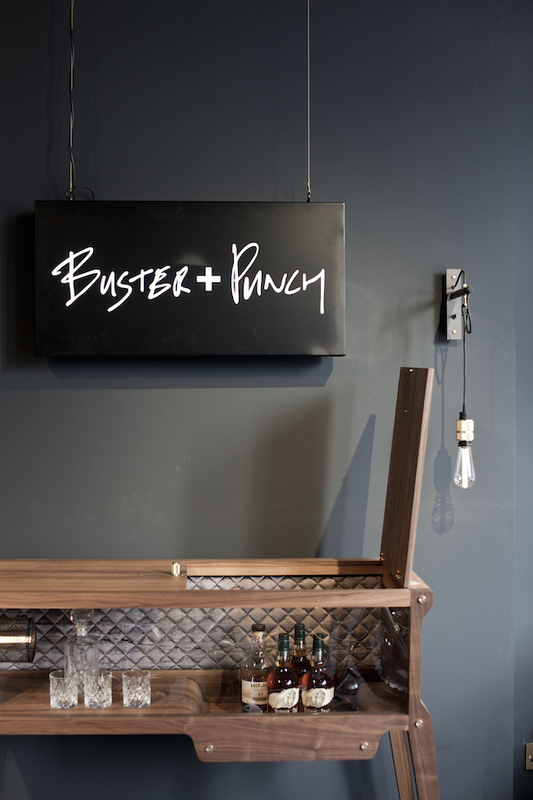 When in London I love to visit Buster and Punch, a favourite of mine combining great interior appliances and accessories with a Rock n Roll attitude. Owner and Founder Massimo Buster Minale launched the Buster + Punch label in 2013 and were sponsors of our London Blogtour, we visited their showroom just before opening it in 2015. 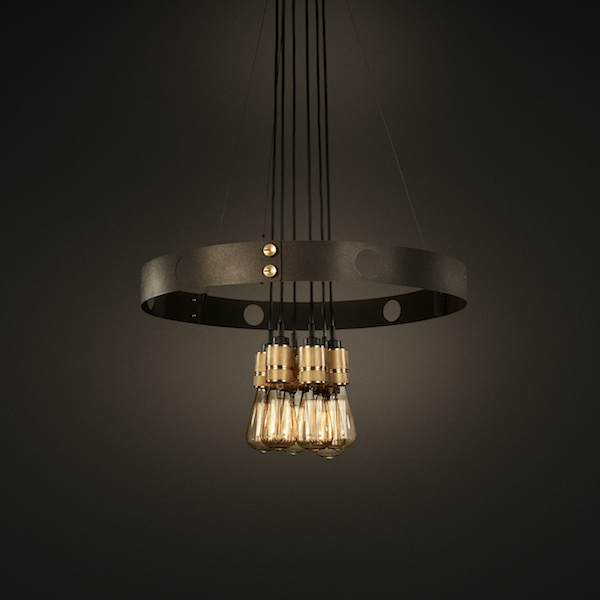 They create daring & permanent lighting, furniture, jewellery & limited editions. Pieces with great names revering to a Rock 'n Roll Lifestyle such as the 'Rockstar Bar', and stackable 'Heavy Metal candle holders. When visiting Showup earlier this year I was immediately impressed by candles of Corpo Sancto, an anglo Scandinavian company based in Brighton, UK who make rapeseed wax candles with a wooden wicker, 100% natural and eco friendly with unusual scents such as Green Tea & Lemongrass, Coffee & Bread, The Hippie, Log Fire, Sweet Fig and Biker Jacket. 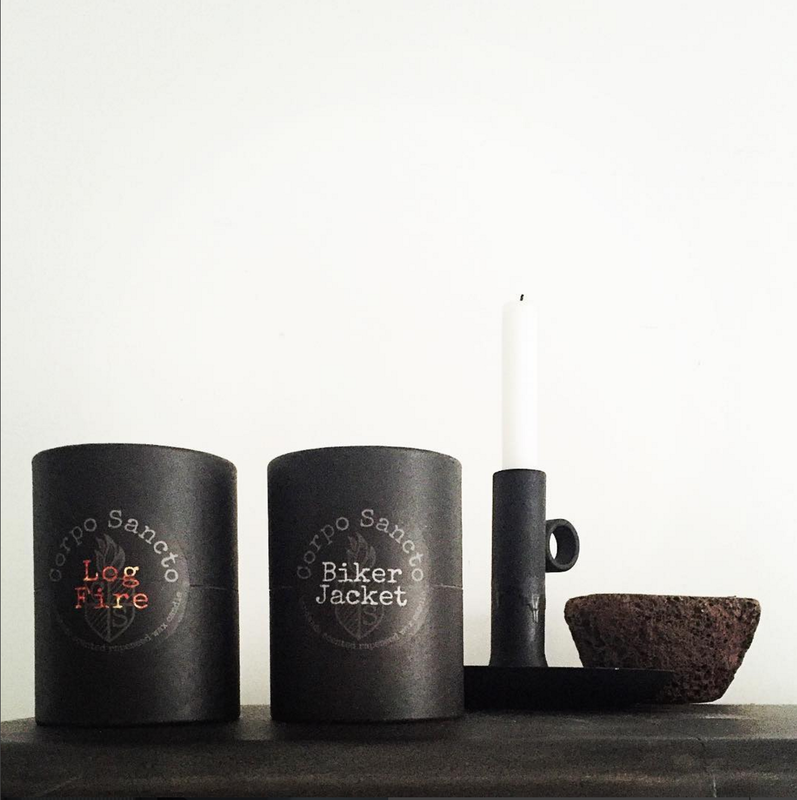 My absolute favourite scents... Biker Jacket and Log Fire!